Commonly considered a grain, quinoa (pronounced keen-wah) is a seed which is related to leafy green vegetables such as spinach, chard, and beets. Once considered the “mother seed” of the Incas, this South American native is a nutritional powerhouse, and its wide array of potential culinary uses makes it one of the most practical foods to store in your pantry. The remarkable thing about quinoa is that it is one of the rare plant-based foods that supplies all nine essential amino acids, including the elusive lysine, making it a complete protein. While food from animal sources almost always contains complete proteins, vegetable sources of protein are most often lacking in one or more essential amino acids. This makes quinoa an excellent option for vegetarians, vegans, and anyone interested in adding non-meat proteins to their diet. According to the Food and Agriculture Organization of the United Nations, the content and quality of its proteins are outstanding because of their essential amino acid composition and its biological value (the measurement of nutrition the body can absorb) is comparable to casein (milk protein). Quinoa also boasts one of the highest levels of plant-based iron levels. It’s also an excellent source for manganese, magnesium, copper, phosphorus, and fiber. 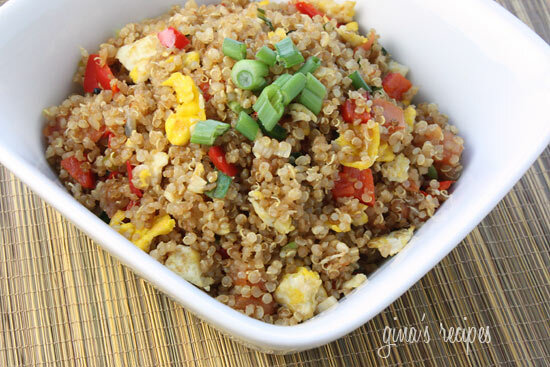 Quinoa is naturally gluten-free, making it a great food for many who follow a gluten-free diet. Quinoa is available in several colors, most notably red, black, and more commonly, off-white. It is available in many grocery stores, both packaged and in the bulk aisle. If you cannot find it in your supermarket, it should definitely be at your local health food store. Before cooking quinoa, be sure to rinse it thoroughly to remove any residual resins that might still be on the seeds. Otherwise, it can be quite bitter. Quinoa can be prepared as simply as couscous — add it to boiling water or broth and let it sit for several minutes, and then fluff with a fork. That preparation will give you quinoa in its simplest presentation. This versatile seed can also be served as a breakfast “cereal” – simply add your favorite natural sweetener, along with some cinnamon and berries or chopped apples. It can be added to burritos, salads, a veggie burger or scrambled eggs. It can be sauteed with vegetables or given some kick with Moroccan spices and raisins. Truly, the options are endless and recipes are easy to find. Here are two to get you started, one savory, one sweet.